The stands feature a unique modular controller function platform. Functions such as travel measurement, cycling, etc. are offered individually, accommodating a wide range of budgets and applications. Collect force and travel data, plot and analyze results, and control test stand motion via MESUR®gauge Plus software. Or, fully control the stand by a PC through a custom application. Simple controller interface Rugged aluminum up/down/stop keys are designed for industrial environments. Zero Travel and FollowMe TM keys add convenience. Removable for remote use. See the following page for a full list of available functions. 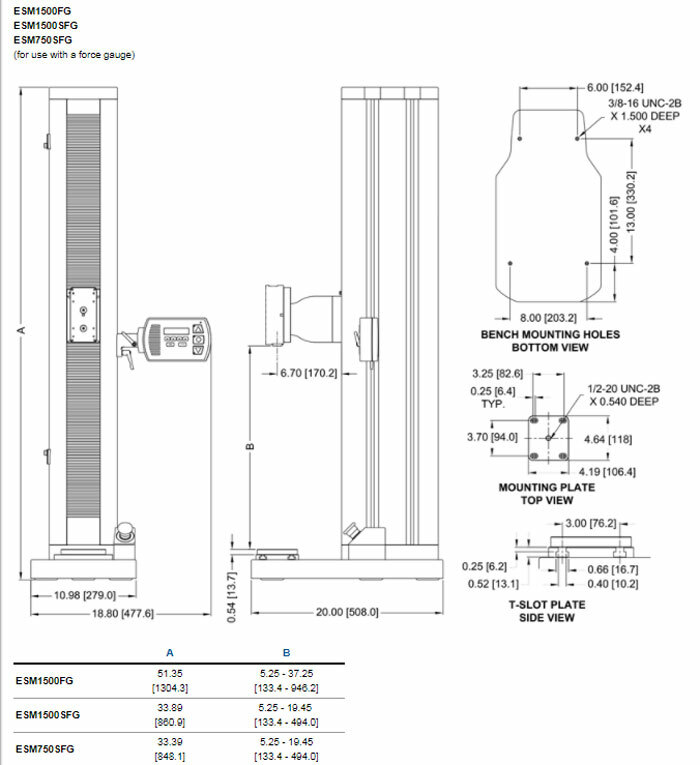 Limit switches Adjustable upper and lower solid state limit switches stop test stand travel with 0.001 in. [0.025 mm] repeatability. Modular design Most electronics are housed in an integrated enclosure,easily accessible and remov-able for updating and service. Indicators Choose from three indicator models. Consider a Model 7i or 5i to take full advantage of all test stand functions. 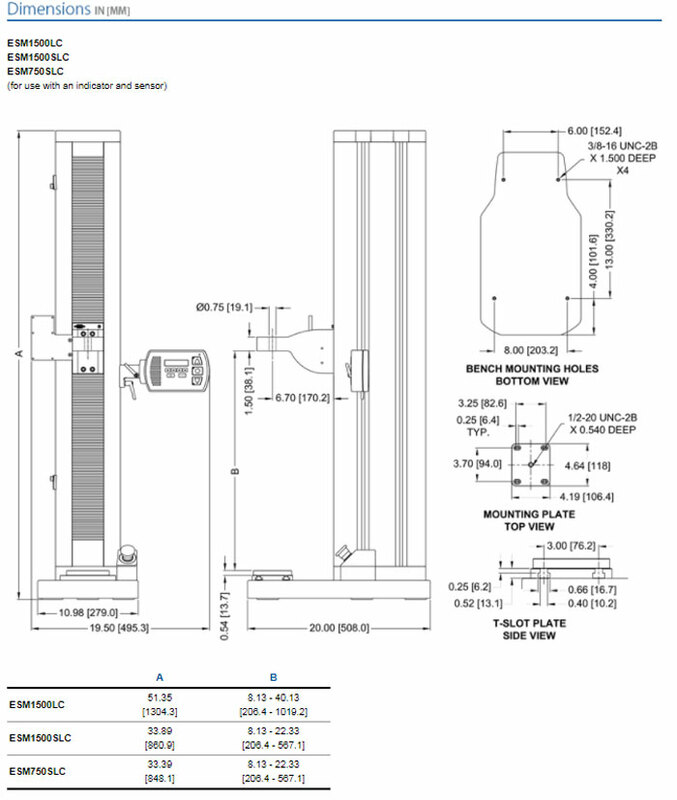 Series R01 force sensors (load cells) Rugged S-beam design. Avail- able in capacities from 50 to 2,000 lbF [250 N to 10 kN]. Force gauges Choose from several gauge series. 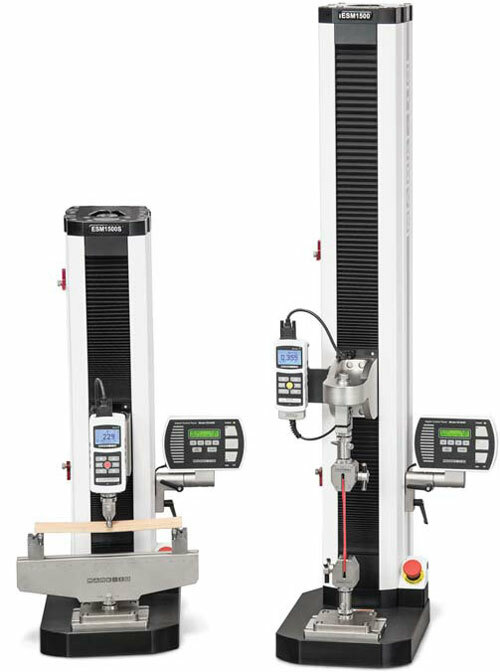 Consider a Series 7 or 5 gauge to take advantage of all test stand functions.